Built by Evolve Motorsport with Oreca’s R4 kit. 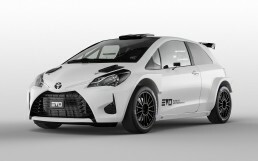 Designed to enter all kinds of FIA Rally Championships worldwide. Agility, performance & modern design. Rally DNA. Most popular sport's car for rally enthusiasts. The WRC heritage for rally and RX enthusiasts. WE LOVE MODERN DESIGN, AESTHETICS AND QUALITY. 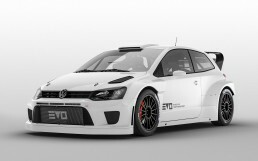 Rally cars based on mass production models, designated to run new R4 class in any kind of FIA Rally Championshpis. Each car is fitted with Oreca R4 kit. The perfect choice for drivers looking to upgrade from R2 or R3 class. Up to 40% cheaper per km than R5. Learn more about the R4 here. High performance with competitive budget. Rally cars based on mass production models of Skoda Fabia, Ford Fiesta or VW Polo. Designated to run OPEN categories (Open N, NR4). Each car is fitted with Subaru or Mitsubishi 2.0 turbocharged engine, compatible transmission, drivetrain & suspension, so it’s perfect option for drivers upgrading from N group cars, looking to drive modern car. Suitable for Rally, Rallycross or Hill Climb. Tarmac or Gravel. 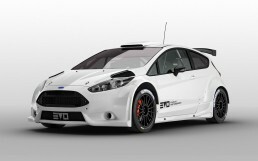 All at a fraction of price for regular WRC or R5 car. Agility and performance, modern 4 door design. Rally DNA. Our first car, build on most popular rally construction. Meet Fiesta. World Rally Championship heritage at an affordable price.